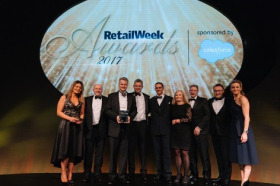 Kingfisher-owned retailer Screwfix has won an award for customer experience at the recent Retail Week Awards. Screwfix won the Teleperformance Customer Experience Initiative of the Year at the awards ceremony, which took place on March 9. The retailer was praised by judges for its 'Simply Better Service' initiative, which drives constant customer service improvements across all business channels including in store, over the phone and online. Screwfix's ‘Simply Better Service’ initiative took a look at customers, store staff and behind-the-scenes systems to understand and develop new procedures to enact higher standards of convenience for time-pressured trade customers. Changes brought about as part of the initiative include longer operating hours for stores inside the M25 and quicker transaction times in store. The judges praised the tangible improvements made as a result of the initiative. They also applauded Screwfix for continuing to deliver outstanding service to its core professional customer base and its holistic and seamless operation. Screwfix CEO Andrew Livingston said: “Winning this award means a huge amount to everyone across the business. It shows how we continue to put our customers first, which is our core objective. We understand how time is money for our trade customers, so we’re here to help them get their jobs done quickly, affordably and right first time.